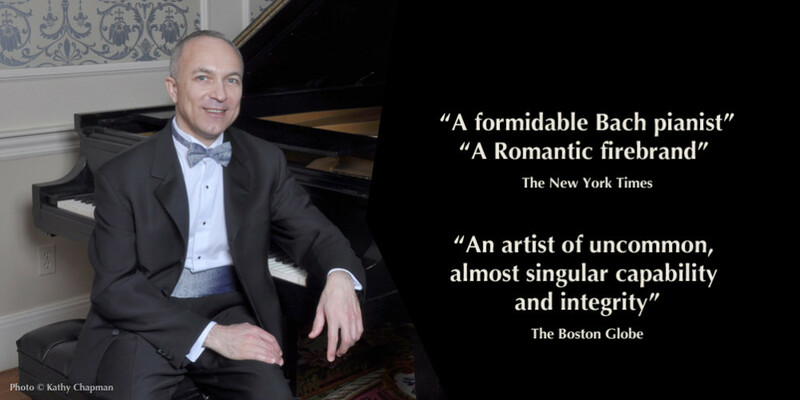 Sergey Schepkin is a Boston-based classical pianist. He has performed on many important stages worldwide, from America to Europe to Russia to Japan to New Zealand. He plays a wide range of solo, chamber, and concerto repertoire, and is an active recording artist. Mr. Schepkin is a recipient of numerous prizes and awards, and is especially renowned for his performances and recordings of Bach and the Romantics. He is also a sought-after teacher serving on the faculties of New England Conservatory in Boston and Carnegie Mellon University in Pittsburgh. Sergey Schepkin is a Steinway Artist.